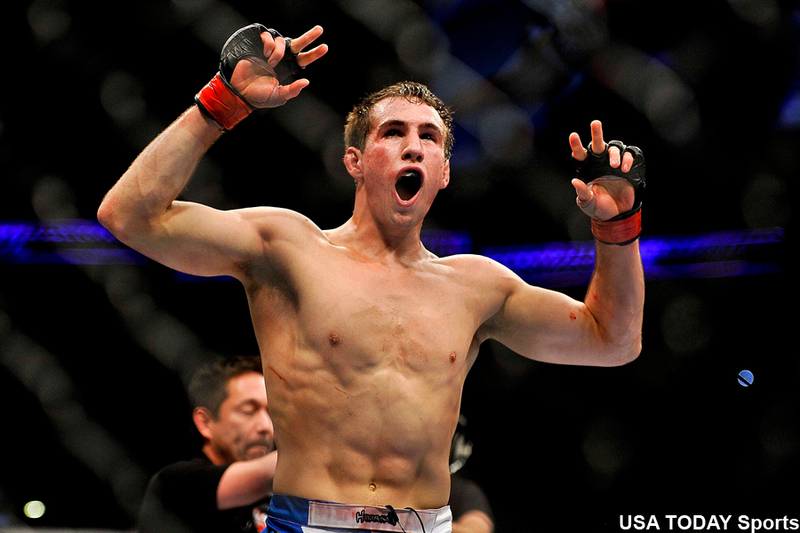 Sorry, not sorry, Rory MacDonald (pictured). Promises are meant to broken according to UFC president Dana White. In October, White promised MacDonald would get the winner of last month’s rematch between then-welterweight champion Johny Hendricks and Robbie Lawler after his impressive finish over Tarec Saffiedine. Fast forward two months and White did an about-face after Lawler upset Hendricks for the crown in a hotly contested, and somewhat controversial, decision victory. With the score knotted up at one apiece, White decided to renege on his promise and arrange an immediate trilogy between Lawler and Hendricks. Per White, those things happen, so deal. The good news for MacDonald is that he’s once again next in line. A date hasn’t been set for Lawler vs. Hendricks III. Furthermore, White didn’t state whether MacDonald would have to take a fight in the meantime.